As we embarked on our research into pastoralist women and water in Kenya, we wanted to explore the relationship between women’s dis-empowerment and water security. After more than 20 years working in dry and conflict-affected parts of East Africa I have often observed that pastoralist women are excluded from decision making related to water supplies. Yet women bear the brunt of the burden of fetching water, often for as much as eight hours a day in the dry season. I felt sure that if women had a stronger voice in advocating for water close to home then household water security would improve. It also seems likely that reducing the burden of fetching water would also free up time which women could spend on other activities, including small businesses which would in turn give them more power in the household. We spent many hours and days discussing this theory with both men and women in the Samburu and Maasai communities in Northern Kenya. We observed them collecting water, using water and we sat under the trees and talked about their daily lives. We learnt a lot about the gender dynamics in these pastoralist households and uncovered some surprising perspectives on water security and women’s empowerment. 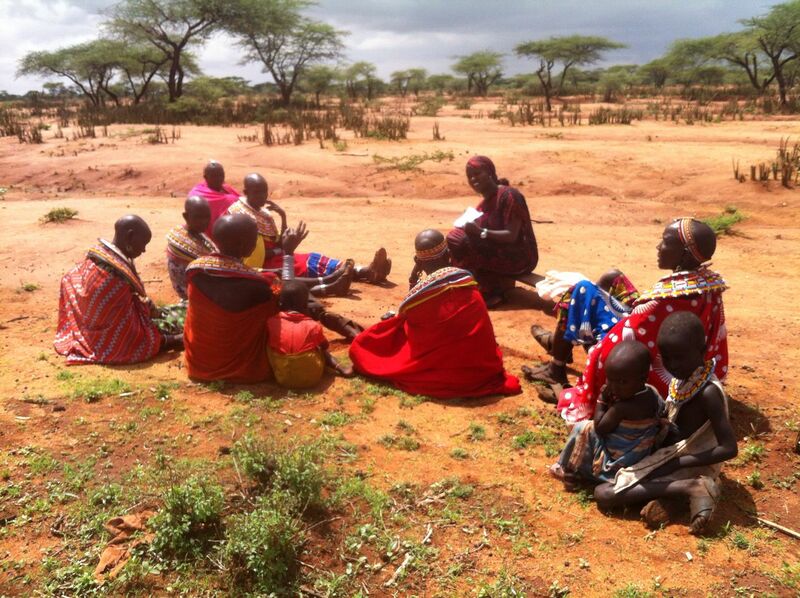 First, we had to agree what empowerment was in a Maasai or Samburu community. Women kept referring to some women having ‘respect’ from other members of the community (usually based on their ability to keep house well) but this doesn’t equate to empowerment in that it doesn’t necessarily give them any more influence. Eventually we agreed that empowerment meant being able to make decisions that impact your life and the lives of those around you. Next we had to explore ‘water security’ and after much discussion agreed that this meant there being enough water available to meet all the household’s needs all the time (including watering some small animals that live near the homestead). So what did we find? Do empowered women have better water security and does water security lead to more empowered women in the community? We are still in the early stages of analysis but the answer to this seems to be ‘yes’ but not quite as we expected and also ‘no’. It is clear that women are dis-empowered in these communities; they have no role in decisions over water supply development and management of water supplies. However they have absolute control over water once it is in the homestead and this gives them some leverage and power within the household. Water problems in the community affect everyone equally and even more empowered women do not seem to be able to influence decisions and action to improve the community water supply. But more empowered women (at least more economically empowered women) were clearly able to negotiate better household water security by obtaining storage tanks and sometimes paying for transport to fetch water which reduced the daily burden of water collection. Sadly, better water security and a reduced burden on water collection does not seem to result in more time for women to do things which might give them more empowerment. Instead women reported that the time not spent fetching water simply made completing the other, multiple household chores more possible. In particular women used the time for recreation (resting) and care-giving (including taking care of children and preparing food for the household). This reinforces the importance of household water security for the welfare and health of women and children. Pastoralist women and water: understanding the ways in which women’s disempowerment contributes to water security risks is one of 12 Catalyst Projects funded through REACH Partnership Funding.